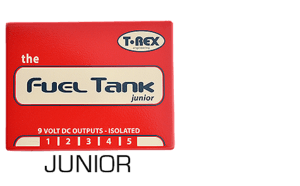 → T-Rex POWER SUPPLIES ← buy guitar pedal power online! FuelTank Goliath, Chameleon, Classic and Junior all with switchable 115V or 230V mains. Powers most pedals from 9V, 12V and 18V DC and AC guitar effect!